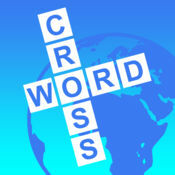 In our website we have just finished posting all World’s Biggest Crossword Grid E-17 Answers . The World’s Biggest Crossword game is created by AppyNation Ltd and has gained more than 5 million downloads lately. We have posted them all below divided into Grids. Find out the remaining World’s Biggest Crossword Grid E Answers.